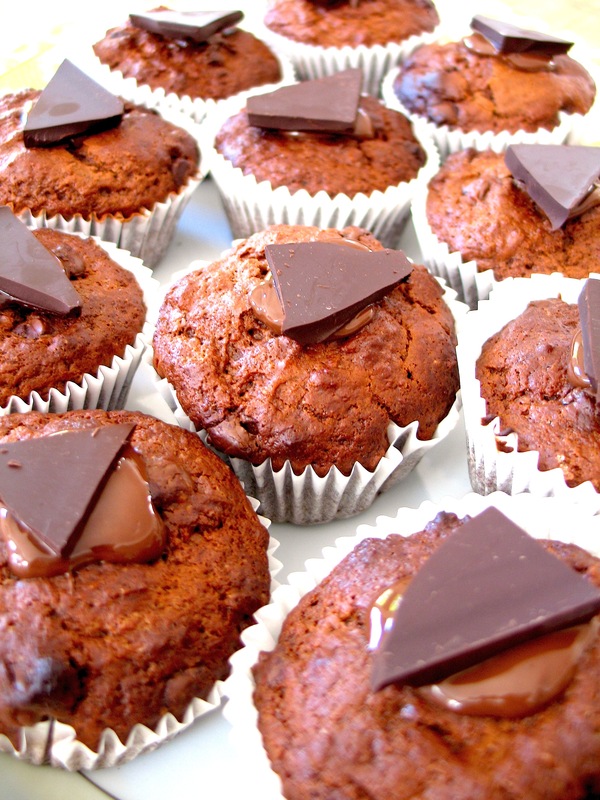 Double Chocolate Chip Muffins and Mini Carrot Cakes | Hey Bernice! Here are my creations for the baby shower picnic in the park this afternoon.. I will post the recipes very soon. Double chocolate chip muffins with a chunk of 85% cocoa chocolate on top. Mini carrot cakes with cream cheese icing and toasted coconut flakes.